On this page you can consult informations about distances and roadmaps from Bundaberg Airport to major cities and places in Australia. Offering an outdoor pool, free WiFi and air-conditioned guest rooms, Hideaway Haven Bed and Breakfast is located in a bush setting, 11 km South of Bundaberg. A shuttle to the airport and railway station is available. This hotel is 9.75 km from city center. 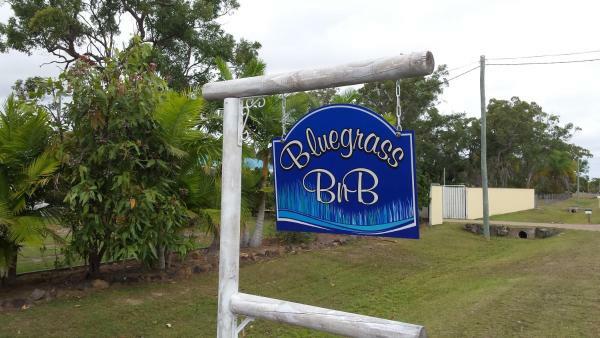 Situated in Bundaberg in the Queensland Region, 23 km from Bargara, Bluegrass BnB features a barbecue and views of the garden. Free WiFi is offered throughout the property and free private parking is available on site. This hotel is 5.79 km from city center. Featuring free WiFi, BIG4 Cane Village Holiday Park is situated in Bundaberg, 17 km from Bargara. Free private parking is available on site. The accommodation features a flat-screen TV. There is a seating and/or dining area in some units. This hotel is 1.57 km from city center. Tropical Gardens Motor Inn is located opposite Brothers Sports Club and next to Sugarland Shopping Centre. It is 17 km from Bargara. This hotel is 1.55 km from city center. Enjoy a drink at the bar, a meal in the restaurant or a swim in the pool at Best Western Boulevard Lodge. Only a 5-minute walk from Sugarland Shoppingtown, it offers rooms with free Wi-Fi and flat-screen cable TV. This hotel is 1.73 km from city center. 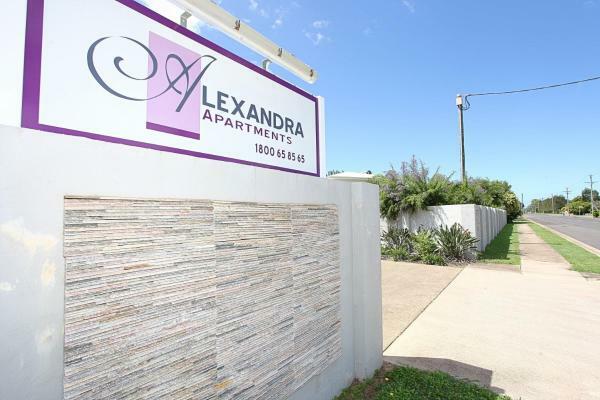 Alexandra Apartments offer brand new, self-contained accommodation only 5 minutes from both the airport and the Bundaberg CBD. Alexandra Apartments give you space, independence and home comforts. This hotel is 2.23 km from city center. The Golden Palms Motor Inn is just 2 km from the Bundaberg Airport. Located on the main street of Bundaberg, it offers a large seasonal outdoor pool, free on-site parking and free WiFi access. This hotel is 2.44 km from city center. Featuring an outdoor pool, on-site restaurant and free in-room internet, Smart Motels Bert Hinkler is just a 5-minute drive from Bundaberg city centre. Rooms include free cable TV and a minibar. Parking is free. This hotel is 2.67 km from city center. 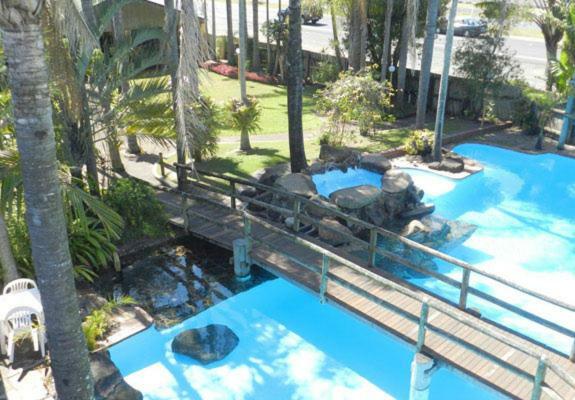 Centrally located in Bundaberg, the 4-star Country Comfort Bundaberg International offers a swimming pool, a restaurant and lovely tropical gardens. Guests also enjoy free WiFi. This hotel is 2.77 km from city center. 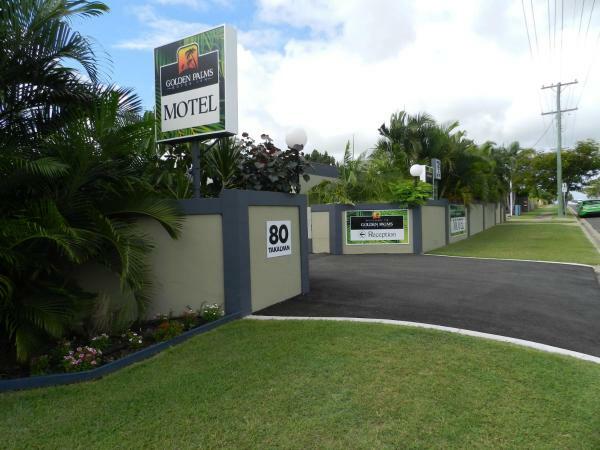 Bundaberg Coral Villa Motor Inn is a small boutique motel with free Wi-Fi and free in-house movies. Guests have access to an outdoor swimming pool with covered barbecue area. This hotel is 2.74 km from city center. 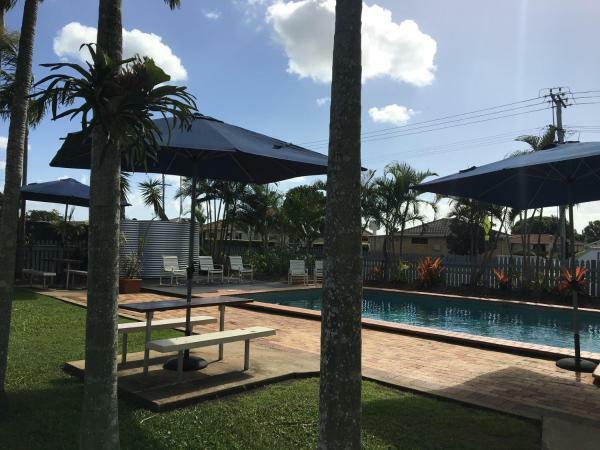 Offering an outdoor pool and free WiFi, Charm City Motel is located in Bundaberg, 10 minutes' walk from the historic Bourbong Street town centre. 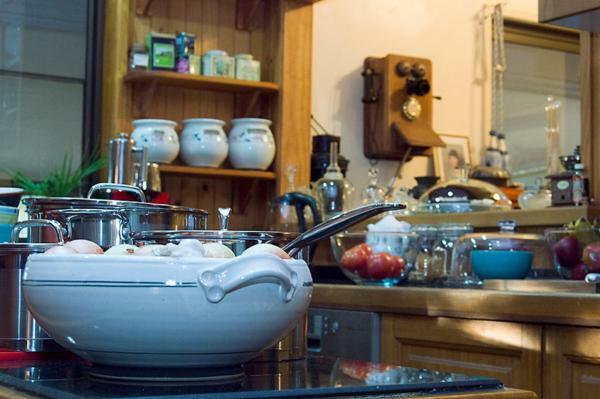 All accommodation offers a kitchen or kitchenette and a flat-screen TV with cable channels. This hotel is 3.71 km from city center. 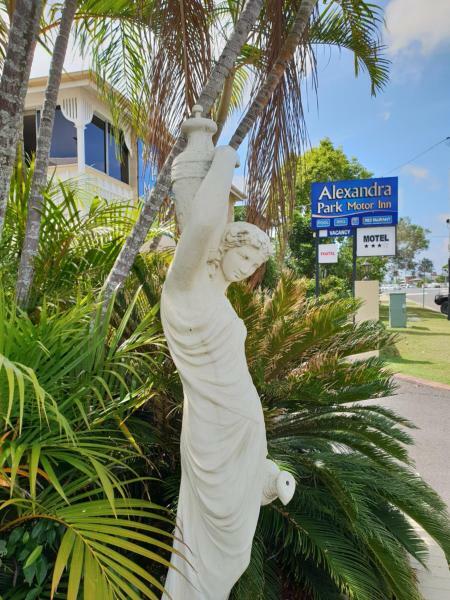 Takalvan Motel is located just 300 metres walk from Bundaberg Base Hospital and Bundaberg Mater Hospital and is 1.5 km from the Bundaberg city centre. The property offers newly refurbished air-conditioned rooms. This hotel is 3.81 km from city center. 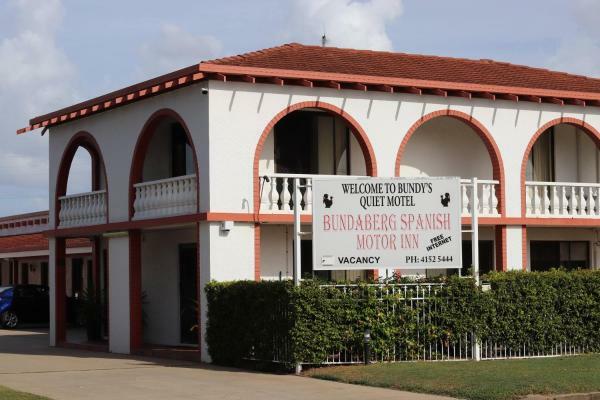 Just 3 blocks from the Bundaberg Railway Station, Bundaberg Spanish Inn offers air-conditioned rooms with 32-inch flat-screen TVs and free Wi-Fi. It features an outdoor pool and free sheltered parking. This hotel is 4.16 km from city center. 4.1 km from Bundaberg Rum Distillery, Bourbong St Motel is situated in Bundaberg and offers rooms with free WiFi. This 3-star motel has air-conditioned rooms with a private bathroom. Staff on site can arrange airport transfers. This hotel is 4.36 km from city center. Oscar Motel is a 5-minute walk from central Bundaberg and 600 metres from Bundaberg Railway Station. It offers an outdoor pool, barbecue facilities and free Wi-Fi access. This hotel is 4.45 km from city center. Free Wi-Fi is on offer at Acacia Motor Inn, featuring an outdoor swimming pool, BBQ facilities and free cable TV. The Acacia Motor Inn Bundaberg is only 10 minutes’ walk from Bundaberg city centre and a 5-minute walk from Bundaberg Train Station. This hotel is 4.49 km from city center. 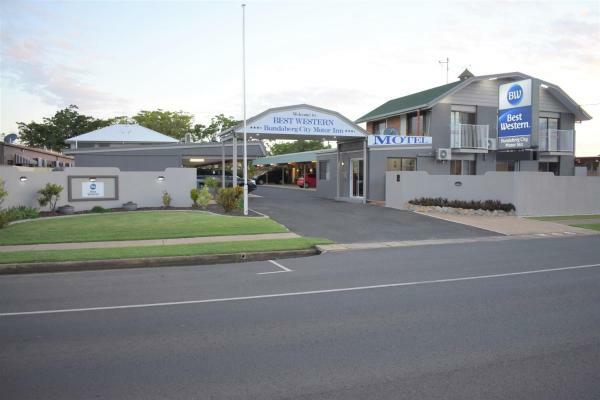 Situated in the centre of Bundaberg, this motel offers spacious rooms with free cable TV and air conditioning. Facilities include an award-winning restaurant and a swimming pool with spa pool. This hotel is 4.56 km from city center. Bundaberg City Motor Inn offers free WiFi, plus an outdoor swimming pool with a spa bath and BBQ area. 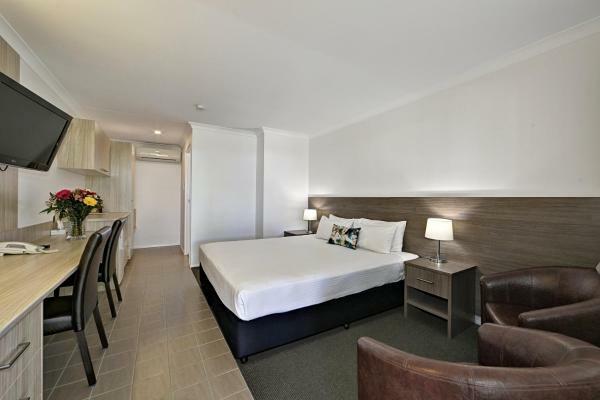 Located in the centre of Bundaberg, each room includes a 32-inch flat-screen TV. This hotel is 4.51 km from city center. Just a 5-minute drive from Bundaberg Train Station, Railway Hotel Bundaberg features a restaurant, 2 bars and BBQ facilities. It offers rooms with a flat-screen TV. Free parking is available on site. This hotel is 5.41 km from city center. Featuring free WiFi, an outdoor pool and a barbecue area, Kalua Motel offers accommodation within 10 minutes' walk from Bundaberg City Centre. Free covered parking is available on site. Kalua Motel is 1. This hotel is 5.62 km from city center. Featuring free Wi-Fi, an outdoor pool and a hot tub, Chalet Motor Inn is just 600 metres from Burnett River. 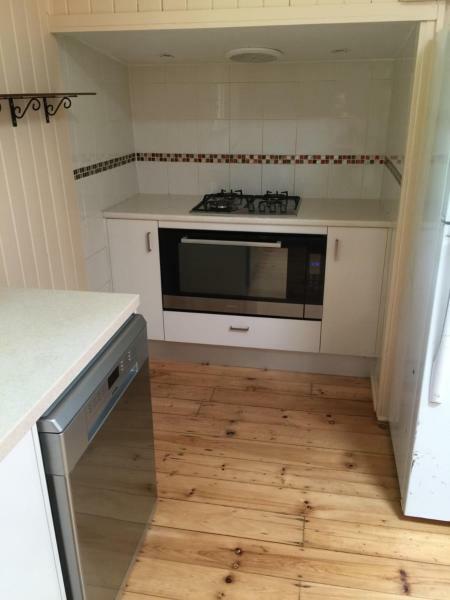 A kitchenette with a microwave and refrigerator is standard in all studios. Free parking is available on site. This hotel is 4.54 km from city center. Featuring free Wi-Fi, a swimming pool and a restaurant. 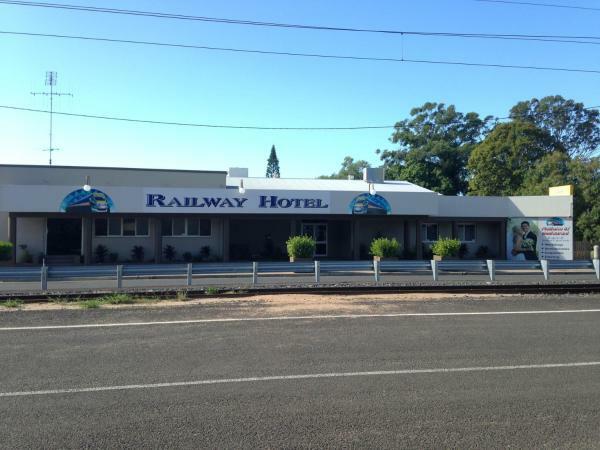 Riviera Motel Bundaberg is 1.5 km from Bundaberg Railway Station and 5 km from the Bundaberg Airport. Guests enjoy free parking on site. 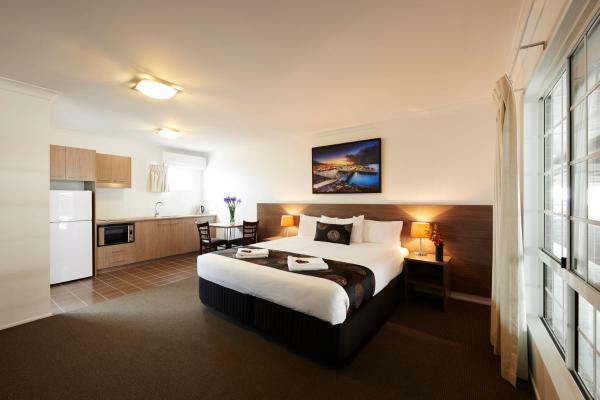 All rooms offer air conditioning and heating facilities. This hotel is 4.56 km from city center. Located opposite Alexandra Park, this boutique motel offers air-conditioned accommodation with flat-screen TVs and built-in DVD players. Guests enjoy an outdoor swimming pool. This hotel is 4.71 km from city center. Featuring garden views, Central 5star Queenslander is located in Bundaberg, 4.4 km from Bundaberg Rum Distillery. Guests have access to free WiFi. The property includes a living room with a flat-screen TV. This hotel is 5.62 km from city center. 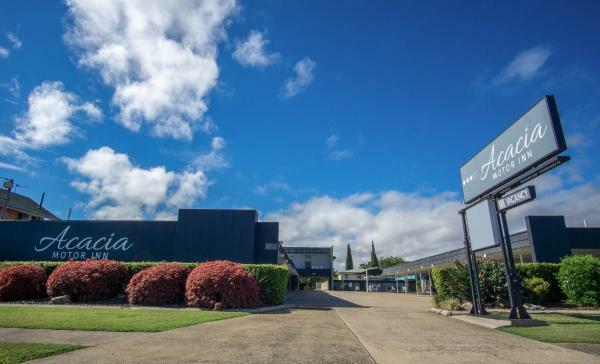 Featuring a saltwater swimming pool and outdoor barbecue area, Villa Mirasol Motor Inn offers air-conditioned rooms in Bundaberg city centre. Complimentary continental breakfast is served in the breakfast room daily. This hotel is 4.82 km from city center.